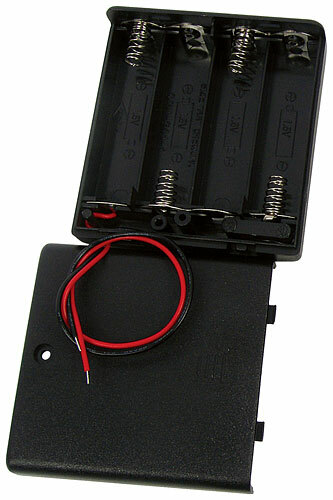 For small robots, electric cars, and other motorized projects, our Battery Holders will come in handy. Holding either two, three, or four AA batteries, they have their own switches, so the motorized object doesn’t need one. They also come with leads and a removable cover.